Now that we're a week into summer, I'm all about spending less time in my small kitchen, hand washing tons of dishes and more time out and about enjoying all that this LA summer has to offer. When it comes to cooking, in the summer, I try to keep my meals simple, especially when it comes to beating the heat, as my building is a little on the vintage side and has no central air. Keeping with my new-found obsession for indoor grilling, I decided to challenge myself and cook a full meal, only using my cast iron grill pan. Mix all the ingredients together in a bowl and toss in chicken wings. Heat your grill pan over medium to high heat and grill wings for 5 - 7 minutes on each side or until crisp and no longer pink in the middle. 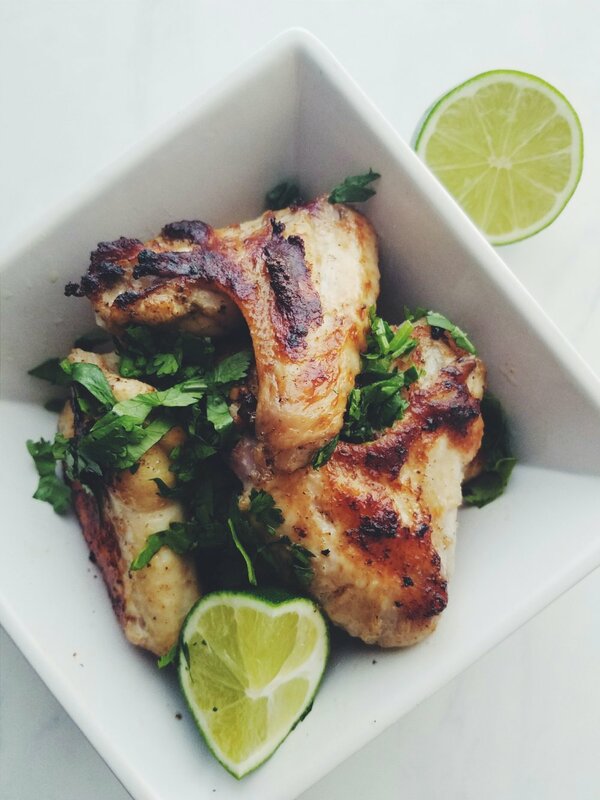 Garnish wings with fresh cilantro and a lime wedge. Shuck corn, removing husks and silk, and brush all around with olive oil. Place corn in grill pan and cook for about 15 minutes, turning often, until corn begins to char a little. Let corn sit until cool enough to handle. Cut corn kernels off the cob into a medium to large-sized bowl. Gently toss with lime juice and salt. Combine grilled corn mix, black beans, tomato, onion, cilantro, and cheese. Serve salad either warm or cold. Brush pineapple spears with olive oil and place in grill pan. 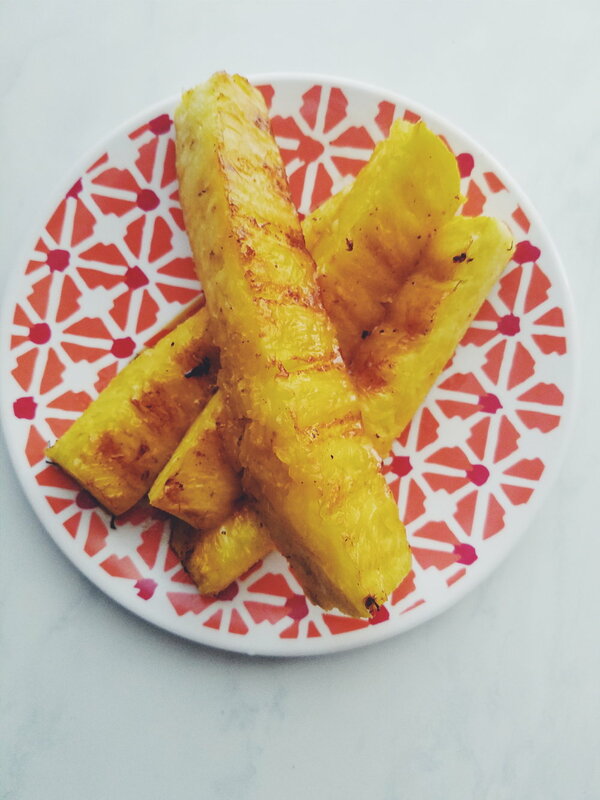 Turn pineapple often, until lightly charred.